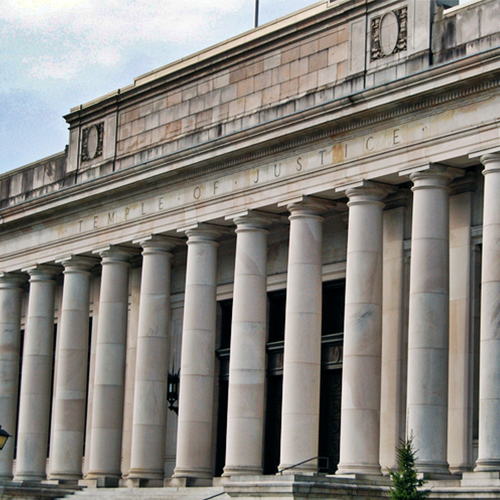 In a friend-of-the-court brief, the ACLU is urging the Washington Supreme Court to end the death penalty in Washington state. Joining in the brief saying the death penalty system is unconstitutional are 56 former and retired judges from around the state, Murder Victims’ Families for Reconciliation, several faith organizations, the League of Women Voters of Washington, and others. Oral argument in the case (State v. Gregory) is being held on February 25 at 9:00 am, with ACLU Deputy Legal Director Jeffery Robinson presenting part of the argument. As the brief explains, the imposition of the death penalty is influenced by intractable racial discrimination. Indeed, one recent study found that Black defendants in Washington are four and a half times more likely than white defendants to receive a sentence of death. Washington’s capital sentencing scheme exists within the confines of the state’s larger criminal justice system—a system fraught with racial bias. The brief also shows that the pursuit of the death penalty varies so widely among Washington’s 39 counties that the punishment is arbitrary: “One [defendant] may risk losing his very life, while another, a mere county over, has his life spared.” In some counties like Okanogan, for example, prosecutors have not sought the death penalty for any aggravated murders inside their borders since 1981, while Pierce prosecutors have pursued the death penalty in 45% percent of the county’s aggravated murder cases. The severity of the crime has no discernible impact on whether the death penalty is sought, as the brief demonstrates. Several Washington defendants convicted of a dozen or more murders have not received the state’s most serious punishment while defendants charged with one murder have received the death penalty. The brief summarizes the decline in the use of the death penalty in Washington, among other arguments for ending capital punishment in the state. In the decades before 1960, Washington executed 105 inmates. But in the past 50 years it has executed only five inmates. The brief and listing of groups and individuals joining the brief can be found at our case information page.